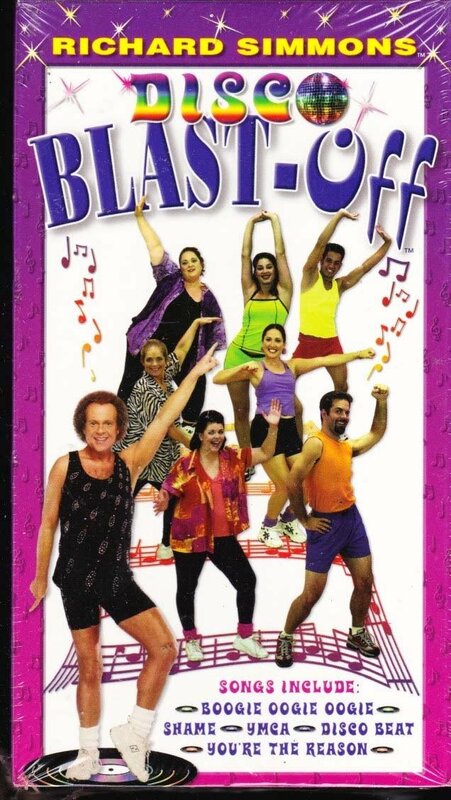 Richard Simmons Disco Blast Off: Workout Video VHS Tape, 2001 Produced by Richard Simmons, Ernest Shultz. Goodtimes Entertainment. New in Original Packaging. An exercise video to the hits of Disco Music. Run time appx. 40 min.